Harry Reid said on Tuesday he hopes have a bill to address gun violence on the Senate floor soon after the Easter break. He also confirmed that measure will not include an assault weapons ban. 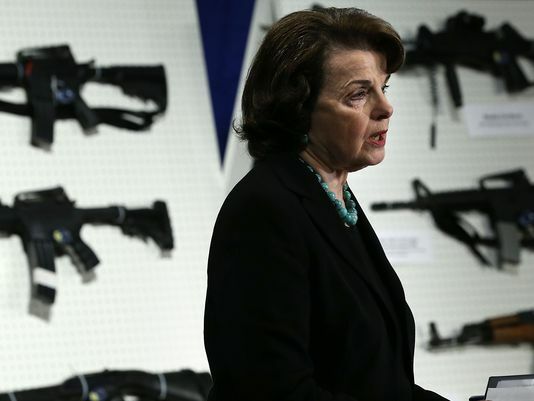 Sen. Dianne Feinstein, D-Calif., told reporters Tuesday she is disappointed that her assault weapons ban will not be part of a larger bill, but acknowledged it will likely make it easier to pass gun-related legislation through the Senate. Feinstein said Reid told her Monday afternoon that the ban on certain types of military-style assault weapons and high-capacity magazines would not be part of package of bills that would make up the Senate legislation. This article was posted in assault weapons ban, Dianne Feinstein, Gun Bill, Senate legislation and tagged Uncategorized. Bookmark the permalink. Follow comments with the RSS feed for this post.Comments are closed, but you can leave a trackback: Trackback URL.